The QuickBooks ProAdvisor® Program equips accounting professionals with the tools they need to fuel small business success. Stacy Kildal, QuickBooks® Online evangelist and trainer, began using QuickBooks in 1998 and started her own firm 15 years ago to help small businesses get the help they needed with QuickBooks setup, training and bookkeeping. Learn how the ProAdvisor Program changed Stacy’s life. 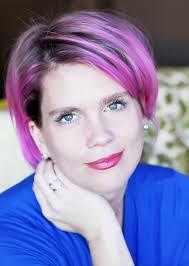 Sheila Kilbride: Hello, Stacy, thanks for speaking with me today. Please summarize your practice for me. Stacy Kildal: Thanks for having me! I started my business, Kildal Services, in 2003 and formed an LLC in 2005. I live in White Lake, Mich., and my partner, Shannon Phares, lives in Lake Orion, Mich. We have a part-time virtual assistant, Katie Bauer, from Ohio. We provide bookkeeping as well as QuickBooks setup, clean up and training services to 50 clients. Our niche includes service providers and people in the trades, such as plumbers and building contractors. Sheila: Tell me about your bookkeeping. What does it entail? Stacy: We serve as the liaison between the tax preparer and our client, and ensure that their books are ready for their tax return. When we meet with prospective clients, we tell them we will do your books every month so you can pull reports. The reports enable you to see who owes you what, what you have in the bank, what bills you have and how much you have spent. At the end of the year, your books will be in order and you can easily gather all the information for a tax return. We also serve as the translator between the tax preparer and the business owner. When the tax preparer asks our client for something, like a balance sheet for example, we are able to explain what it is and how to get it. Sheila: Why do you have a passion for working with small businesses? Stacy: I really love alleviating each client’s frustration. When clients first see me, they are embarrassed because they think their books are a mess. I respond, how would you know how to do this? No one ever taught you. I also ask, did you start your business to do bank reconciliation? Every one of them says no. Then I say, well why would you do that then? I can either show you some things that will make it easier for you, or I can take it off your plate entirely and do it for you. That way you can focus on your business. It’s really rewarding when I see their sense of relief. Sheila: Tell me about your career journey. Stacy: When I was 19 years old, I was working full time and going to school full time. Initially I was planning to be a pharmacist, but then I took an accounting class. I loved it so much I would do extra homework every week! At the same time, my parents were getting divorced and I was helping my dad run his construction company. Over the next three years, I took more accounting classes and picked up more bookkeeping jobs. When my first child, Kiera, was born, I took a part-time bookkeeping job at a friend’s plumbing company. Over time, this grew into a full-time role. He had always encouraged me to start my own business, so I could have more growth potential. He even introduced me to my first client. Initially, I met with my clients at night. By the second year, it reached a tipping point where I either had to start turning clients away or quit my day job. I decided to quit my job. Sheila: Tell me about your journey with QuickBooks. Stacy: I bought my first version of QuickBooks Desktop in 1998 and started supporting QuickBooks Online in 2005, one year after joining the ProAdvisor Program. It’s interesting to see how my business has transformed since moving from desktop to cloud. With QuickBooks Desktop, my clients needed help with QuickBooks installations and getting all their hardware set up. I remember crawling under the desk, setting up the local area network and making sure all the computers were talking to each other. With QuickBooks Online, I don’t need to do that. Now, I focus on workflow and needs analysis, including what’s the best way for your business to process information. Is QuickBooks Online enough or do you also need a third-party app? Sheila: What made you move your business to the cloud? Stacy: In 2008 when I became pregnant with my second child, I decided to work remotely. My oldest, Kiera, was in kindergarten, and when Eric was born, it wasn’t convenient to bring my baby with me to work. I knew I was going to have some attrition. I had 16 clients and lost three or four. Now, I have 50 clients using QuickBooks Online. Sheila: How did you discover the ProAdvisor Program? Stacy: When I was starting out, I scoured Intuit®websites to find additional resources and training. One day in 2004, I stumbled across the QuickBooks ProAdvisor Program. I asked my mom if I could borrow $500 for the enrollment fee, since at the time, I was making $17 per hour, had a child in daycare and two car payments. She said yes. I joined the program, got QuickBooks certified and paid her back after my second client engagement. Sheila: Why did you join the ProAdvisor Program? Stacy: First and foremost, I felt I needed the credibility. Early in my career, I felt insecure because I didn’t finish my Associates degree. QuickBooks certification gave me the credibility and confidence to say, I am certified in this product and I know what I am doing. Second, I joined to get listed on the Find-a-ProAdvisor website. Back in 2004, it was a lot harder to do marketing. Social media did not exist. The Find-a-ProAdvisor website was a free way for me to market my services. Also, at that time I had a full-time job. I relied solely on the Find-a-ProAdvisor website and it brought me a ton of referrals. Sheila: Why are you the self-described poster child for the ProAdvisor Program? Stacy: Because the ProAdvisor Program changed the trajectory of my life. It was the first step on the path that brought me right here talking to you today. Over time, I developed a deep relationship with Intuit including becoming a member of the Trainer Writer Network. Then I started my own business and a podcast. If I didn’t borrow money from my mom and join the ProAdvisor Program, I would probably still be in a dead-end job with no room for advancement. Sheila: You’re a QuickBooks trainer for Intuit. Why do you enjoy teaching bookkeepers and accountants? Stacy: I love sharing how to do something better, faster, smarter. For those new to the product, providing tips and tricks on how to optimize QuickBooks and save time is rewarding for me. When I am doing a training and explain how to save a bookmark in QuickBooks Online, for example, and the audience says: wait, wait, wait, go back and show me that again, that’s so much fun for me. Sheila: What advice could you offer other bookkeepers and accountants? Stacy: I think it’s important to build confidence especially when you are just starting out. Don’t niche. Take everything that comes your way because that’s how you’ll learn what you like and what you don’t like to do as well as what types of clients you want to work with and who isn’t a fit. It’s also important to believe in yourself. Own that you know your stuff and let people know that you are an expert. Sure, we all have times when we are feeling unconfident. That’s when you need to step up and fake it until you make it. Sheila: If you could tell an accountant or bookkeeper who is not a QuickBooks ProAdvisor why they should join, what would you say? Stacy: There are two reasons to join the ProAdvisor Program. First, to get listed on Find-a-ProAdvisor. It’s free marketing that’s right in the product. Make sure you fill out the entire profile including a current picture! Second, the benefits are amazing. 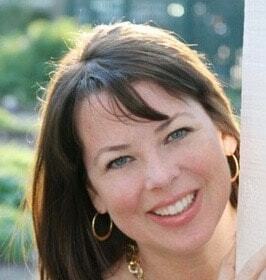 Sheila Kilbride is a content marketer at Intuit® focusing on the ProAdvisor Program and QuickBooks® Online Accountant . She holds an MBA in marketing from the Kellogg School of Management at Northwestern University.